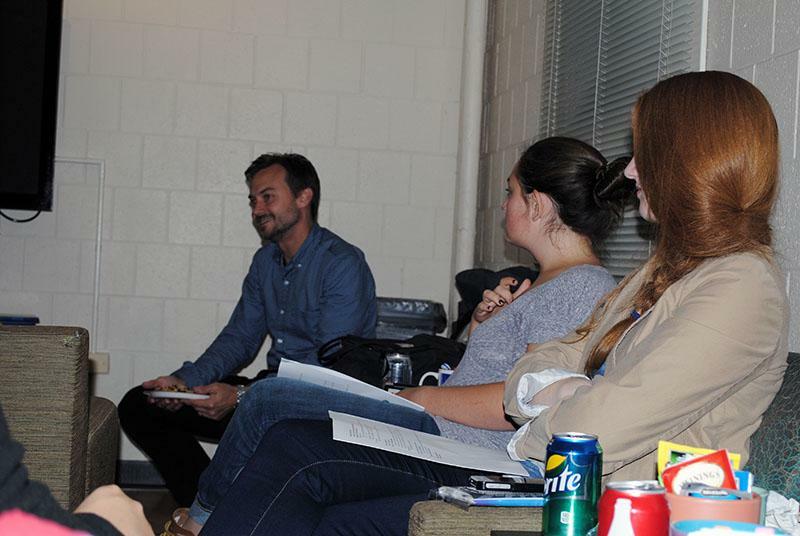 A new branch of Northwestern Residential Services on Monday launched a series of mini-lectures that allow professors to discuss their upcoming courses in student residences. Professors will introduce their courses for the next quarter as part of “Coming Soon to a Classroom Near You.” The program is primarily for underclassmen. The purpose of the lectures is to relieve students of some pressure they face when selecting classes by supplementing traditional tools used to find classes such as Course and Teacher Evaluations, said Brad Zakarin, the director of the Office of Residential Academic Initiatives, which was created this year. “When students are in their own lounge … they feel a little bit more at home and feel the professors are on their turf and so it is a little easier to ask questions that might be daunting to ask in somebody’s office hours,” Zakarin said. History Prof. Michael Allen kicked off the series Monday, introducing his U.S. history course to about 20 students in the Public Affairs Residential College. Allen, a fellow at the residential college, enjoyed refreshments with students while he discussed requirements for his course. During the casual one-hour discussion, Allen described the content of the class and answered broader questions, such as the difference between 200- and 300-level courses. “It can help them get work done and get people to think about the class in more practical ways,” Allen said. About 20 professors are scheduled to introduce their classes over the next two weeks. During the summer, Zakarin compiled a list of professors who might be interested in participating the program after realizing students were constrained in their ability to explore class options in NU’s fast-paced quarter system. Lecture locations vary from the 1835 Hinman dining hall to the College of Cultural and Communities Studies lounge. The office’s new initiatives have led students to create events of their own to expedite the process of choosing classes, Zakarin said. A group of three upperclassmen led by Residential College Board president Erik Zorn are planning to organize events that will help students learn how to use CTECs most efficiently, he said. If turnout for mini-lectures is adequate, the office will hold similar events in the future.